Managing your monthly budget can be difficult and frustrating. One of the most important aspects of controlling your budget is to determine where your money is going. This calculator helps you do just that. 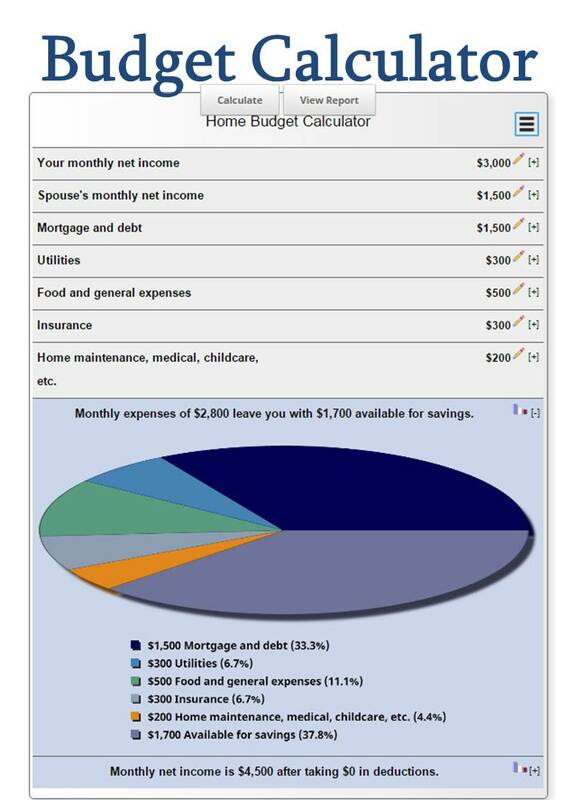 By entering your income and monthly expenditures into the budget calculator, you can see how much you have left to save and where your money is being spent. In addition, you can click on "View Report" to see your entry results in detail, which can help identify areas for improvement. You may also save and email the results by clicking on the three-line icon in the upper right hand corner of the budget calculator.